Whoa...is Santa REALLY coming to town in like...a matter of WEEKS?! I procrastinate purchasing my Christmas cards. ...and I never like ours because I wait too long. 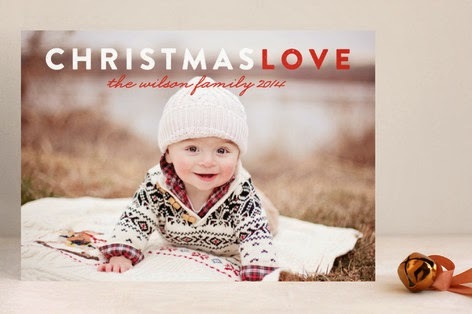 Last year, as I received all the adorable Christmas cards, I cursed myself because EVERY SINGLE CARD was so stinkin' cute and mine was...not. I guess I'm still not EARLY, but I'm not late yet...right? So I've been shopping...and here is my favorite brand! Have you seen the Minted cards?! I wanted to post several design options but I'm still deciding which ones I'm choosing (and don't want to post the one we are getting)! I know this sounds silly, but last year I swooned over all things...glitter. And foil. And cute edges. I like how minted gives you options and I especially like you how can make the card into a post card...cheaper cards AND cheaper postage. SCORE! Don't miss out on their promotions right now! 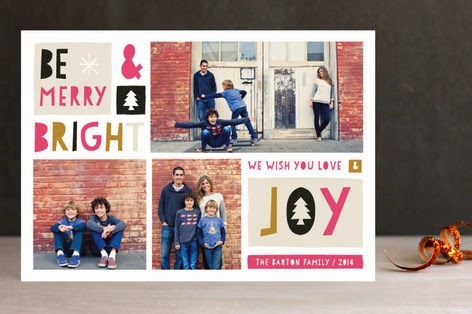 ENDS TUESDAY | ENJOY 15% OFF + FREE RECIPIENT ADDRESSING ON HOLIDAY CARDS. CODE: HAPPYHOL15. I can't WAIT to start receiving your cards...please send me yours! I really like the foil this year.